The Gunclean Toftejorg i40 D is second generation dual nozzle tank cleaning machine. It is designed for use in fixed installations aboard chemical and product tankers as well as offshore applications. Alfa Laval’s Gunclean Toftejorg i40 D is a high-impact, tank cleaning machine with dual nozzles. Its reliable operation and wear-resistant design make it suitable for use in all types of tank cleaning applications. Developed to meet the toughest tank cleaning requirements, it features a hysteresis clutch with built-in speed adjustment. This innovative clutch construction is a substantial improvement over standard magnetic clutches, as it eliminates both slippage and the leakage risk of a speed adjustment shaft. In combination with optimized design and new, wear-resistant materials, it makes the Gunclean Toftejorg i40 D a simple and reliable choice for cost-effective operation. A flow of cleaning media or product is used to drive a turbine connected to the Gunclean Toftejorg i40 D gear unit. Rotation speed can be adjusted during operation, thus making it possible to optimize the cleaning cycle. In the first cycle, the nozzles lay out a coarse pattern on the tank surface. The following cycles make the pattern gradually more dense until a full pattern is reached after 4 cycles. Use of a hysteresis clutch on the Gunclean Toftejorg i40 D means there is no need for the conventional configuration with a speed adjustment shaft at the turbine. This does away with shaft penetration at this key point, eliminating a key location for potential seal leaks and cross-contamination problems. The unique clutch used on this model compromises a number of strong magnets and a hysteresis plate. Unlike a standard magnetic clutch in which two opposing magnets must be synchronized, this type does not suffer from slippage, thus eliminating false starts. The clutch also works as a soft starter, making sure the tank cleaning machine always begins operating as intended. 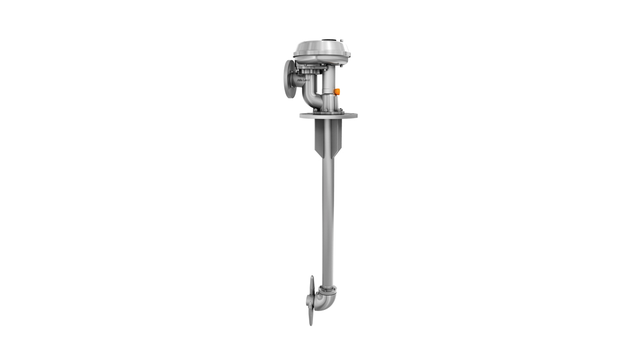 Alfa Laval offers a comprehensive range of tank equipment intended for hygienic applications in the dairy, food, beverage,home care, personal care, biotechnology and pharmaceuticals. For a broader tank equipment range, explorer the different product categories: rotary jet heads, rotary spray heads, tank accessories and tank covers.